ARLINGTON, VA; January 6, 2015 -- PBS and WGBH announced today that Sunday’s premiere of “Downton Abbey, Season 5” on MASTERPIECE enthralled viewers nationwide as the Crawley family returned to face the changing tides of England in 1924. An average audience of 10.1 million viewers tuned in for Sunday’s premiere (Nielsen Fast National data, 6.1 household rating). 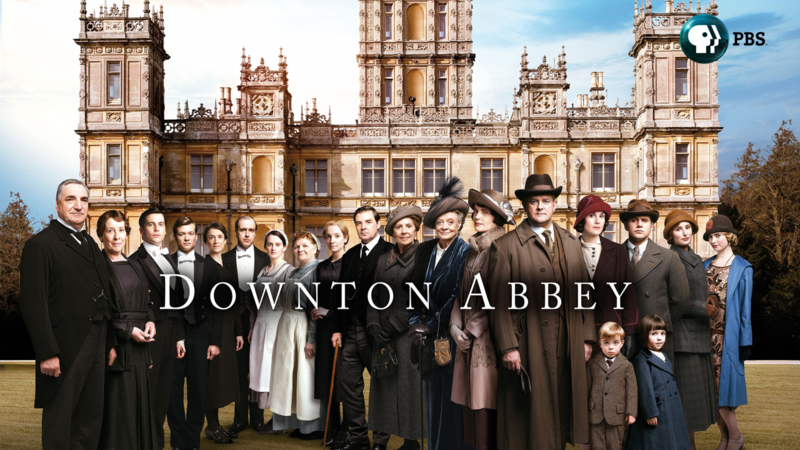 “Downton Abbey” on MASTERPIECE remains the highest-rated drama in PBS history. The fifth season premiere of the Emmy®, Golden Globe® and SAG Award®-winning series, a Carnival Films/MASTERPIECE co-production, is the second-highest rated episode of the series to date, nearly even with the Season 4 premiere (10.2 million viewers, 6.2 household rating – Nielsen Fast National, Live+Same Day). Between 9:00-10:15 p.m., PBS was the second most-watched network on Sunday (based on weighted metered market program averages). Viewership for the premiere remained solid throughout the episode’s one-hour, 15-minute duration. Many of these viewers stayed to watch THE MANNERS OF DOWNTON ABBEY, a one-hour documentary exploring the world of English etiquette with host Alastair Bruce, historical advisor to “Downton Abbey.” Viewership for the program was 250 percent above the season-to-date time period average for Sunday nights from 10:15-11:15 p.m. According to Nielsen, a Twitter TV audience of 1.6 million people saw more than 48,000 tweets during the premiere evening, generating a total of 6.3 million impressions and making it the #2 primetime series episode, ranked by Unique Audience. PBS and MASTERPIECE insiders — as well as moderators from Tom and Lorenzo (@tomandlorenzo), Jarett Wieselman of BuzzFeed (@JarettSays) and Men In Blazers (@meninblazers) – will continue to host live discussions during each broadcast to connect directly with fans on social media. To engage viewers in the series’ premiere, more than 130 local PBS stations hosted premiere screenings in December and January, collectively drawing tens of thousands of fans nationwide. Member stations created events ranging from teas to dinners to cruises to involve community members in the excitement of the series. Fans can also purchase Seasons 1-4 of “Downton Abbey” and pre-order Season 5 through sites and services including iTunes (where it is currently the top-selling TV season), Amazon.com and ShopPBS.org. For updates pertaining to “Downton Abbey,” go to pbs.org/downton or follow #DowntonPBS on Twitter. “Downton Abbey” is a Carnival Films/MASTERPIECE Co-Production written and created by Julian Fellowes. The series is executive produced by Gareth Neame. Carnival Films, a division of NBC Universal International TV Production and the UK’s largest drama specialist, is responsible for the global sensation “Downton Abbey,” winner of two Golden Globes and 10 Primetime Emmy awards. It is the most nominated non-U.S. show in the history of the Emmys, with a total of 51 nominations, and is now viewed in 250 territories worldwide. “Downton Abbey” is executive produced by Carnival’s Managing Director Gareth Neame, who sold the production company to NBCU in 2008. Carnival has produced many hundreds of hours of popular drama both in the UK and United States, including primetime series such as Poirot, Hotel Babylon, Whitechapel, Jeeves & Wooster, Rosemary & Thyme, As If, Dracula and The Philanthropist, as well as award-winning miniseries such as C4’s iconic Traffik, David Hare’s Worricker Trilogy (Page Eight, Turks & Caicos and Salting the Battlefield), The 7:39 by David Nicholls, William Boyd’s BAFTA Award-winning Best Serial Any Human Heart, The Old Curiosity Shop and Enid, starring Helena Bonham-Carter. Carnival’s latest series The Last Kingdom is in production for BBC2 and BBC America and its co-produced Royal Television Society Award-winning drama The Hollow Crown, a screen version of Shakespeare’s history plays (with Neal Street Productions) and the sequel The War of the Roses, is currently in production, starring Benedict Cumberbatch and Judi Dench. Carnival recently announced major new development projects such as Freud, Bill Gallagher’s Jamestown, Neil Cross’ Bay of Plenty with Libertine Pictures for the BBC, Magnum with the iconic photographic co-operative Magnum Photos and Nostradamus with Joseph Fiennes and Anonymous Content.